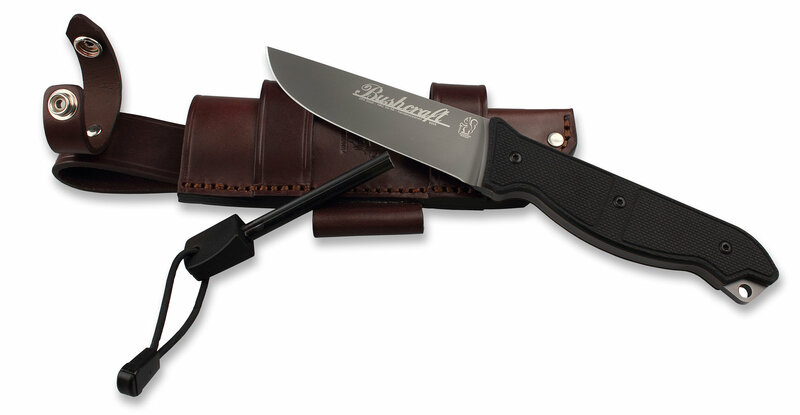 The Eickhorn Bushcraft was designed as a classic-straight Bushcraft or outdoor knife. The high flat cut of the 4.7 mm thick sandblasted blade ensures a stable blade geometry, excellent cutting properties and good resharpability. The thumb ramp attached to the handle / blade transition has been intentionally made smooth to allow long, fatigue-free, yet controlled work. The handles are made by Eickhorns robust, slip-resistant 3mm thick G10 and golden, 1.5mm thick stainless steel liners. The hole at the handle end allows the attachment of a lanyard. 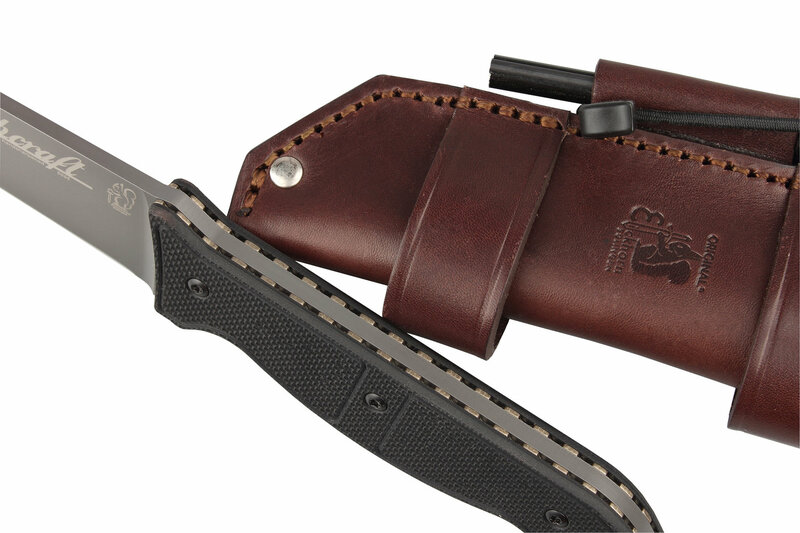 The scabbard, made of strong brown leather, can be worn both vertically and horizontally and has an integrated holder for the supplied firesteel. All of these features make the EBK a rugged, reliable utility knife for the outdoor enthusiast or urban adventurer.